Colombia’s President Ivan Duque claimed on Sunday that “Gabino,” the supreme leader of Colombia’s last-standing guerrilla group ELN is in Cuba and demanded explanations from the communist state. According to Duque, Gabino traveled from Venezuela to Cuba despite a pending international arrest warrant issued by Interpol at the request of Colombia’s controversial Prosecutor General Nestor Humberto Martinez. “The Cuban government will have to inform why it is allowing a person with a red notice in its territory,” Duque said in an interview with newspaper El Tiempo on Sunday. Representatives of the ELN have been on the Caribbean island with the formal permission of the government since May for peace talks that were suspended by Duque after he took office in August. Defying public opinion and pressure from the international community, which wants the government to negotiate an end to the armed conflict with the rebels, Duque has refused to continue the talks that began under his predecessor Juan Manuel Santos. The president has supported the chief prosecutor’s decision to seek the arrest of guerrilla leaders who are not part of the ELN’s negotiation team. Anonymous sources within the military told conservative radio network RCN in late October that Gabino had traveled to Cuba for medical treatment, but this has been neither confirmed or denied by the ELN or the administration of Miguel Diaz. But Duque insisted that Gabino is in Cuba and said he wanted to know how he got there. “He clearly didn’t swim there, so they will have to explain where the airplanes came from, and what kind of airplanes were used,” Duque told El Tiempo. “I don’t doubt the least he left from Venezuela” where the Colombian government has insisted many guerrilla leaders are hiding, claim denied by the ELN. 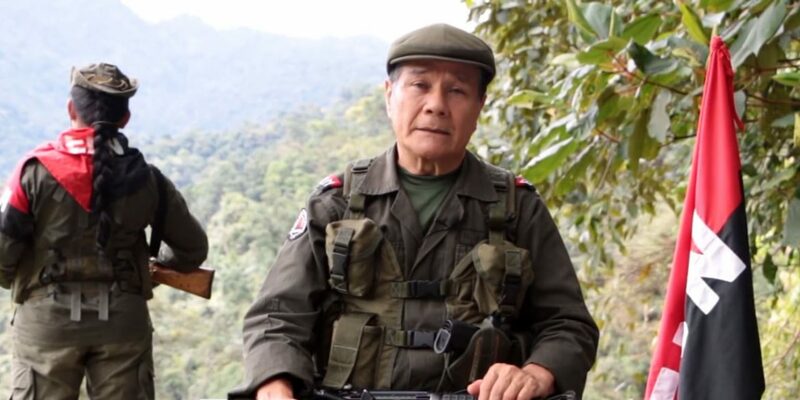 The ELN has been fighting the Colombian state since 1964, initially together with multiple other guerrilla groups that sought to overthrow the state that has traditionally been controlled by an exclusive elite.